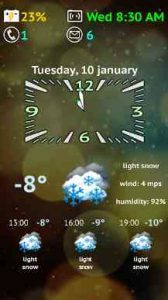 Weather Night Dock is an application for dock stations, showing information about the current time, battery level and next alarm, but also about the weather* beautiful, easily readable form. Auto start/close program when connecting/disconnecting the charger, even if the device is locked. From version 1.4 – multilingual support of weather conditions: English, Russian, Italian, Spanish, Ukrainian, German, Portuguese, Romanian, Polish, Finnish, Dutch, French, Bulgarian, Swedish, Chinese, Turkish, Croatian, Catalan. Edit: The Dev responded immediately to my review letting me know that the change had been made in the newest revision. Updated the app, reopened it and sure enough! Status bar is always on. Bumping my review to 5* and buying the Pro version. Thank you! —– The only thing missing is an option to keep the status bar visible. Make that happen and I will happily buy the Pro version!!! I had been looking for a clock for while my phone was charging and this is by far the best. For a simple app it is pretty customizable. We are discouraged from having cell phones visible while working with the public, but no one, including the boss, had figured out that my desk clock is my phone. I really appreciate the feature that lets me disable it at times so I can charge my phone at night without it lighting up the bedroom with the display. Like the app but think it needs to show the weather for two to maybe three days out. love the large numbers, and the temp showing. Forecast for 3 days is in the PRO version realised. I love this app, the numbers are huge and very visible for my half-awake self to process the time. It keeps track of all your alarms set. I especially love the fact that it shows you the weather for morning, noon, and afternoon, which is quite handy for choosing the outfit of the day. You’re also allowed to change the clock background for a personal touch, and you can also choose at what time the app automatically comes on screen and for how long, so its already launched 30 mins before my 1st alarm. 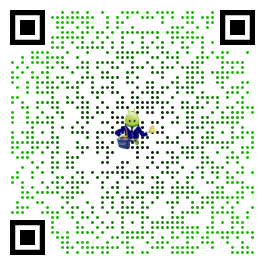 using on tablet.